The small, Austrian resort of Hochgurgl, adjoined to the larger Obergurgl, is nestled up high on a sunny plateau, overlooking the Oetz Valley. This picturesque resort, surrounded by scenic glaciers, is a great snow-sure ski holiday destination. On ski holidays in Hochgurgl enjoy excellent high-altitude skiing and the fabulous, panoramic views of the Dolomite Mountains whilst appreciating the tranquillity of this secluded, peaceful alpine resort. Ski holidays in Hochgurgl are ideal for beginners and intermediates, as well as skiers who appreciate un-crowded, wide open slopes and off-piste exploration. The ski terrain is not extensive here, but there is variety, perfect for mixed-ability groups. There are a couple of thrilling, high-altitude black-run descents for more advanced skiers, including one particularly invigorating stretch that runs down from Wurmkogl. The ski areas of Hochgurgl and Obergurgl are conveniently and efficiently served by some fast lifts, including chairs and gondolas, but be aware, the gondola that connects the two resorts closes by 4pm. There is also a regular bus service that runs between these resorts. 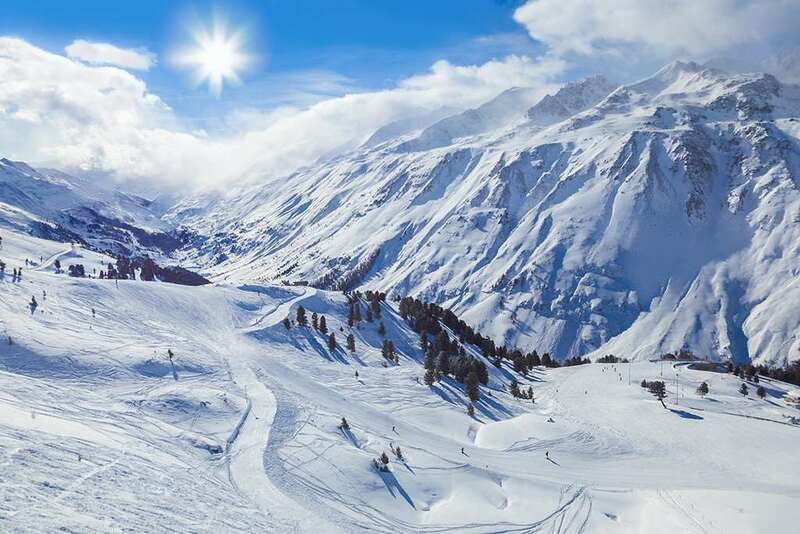 Sharing one of the highest ski areas in Austria, ski holidays in Hochgurgl are normally guaranteed excellent snow conditions from as early as November through until May, an impressive season by European standards. After a hard day carving the pistes guests can enjoy one of the many ski huts or umbrella bars located on the mountain. Joined up with Obergurgl the resort has opened up to much more apres-ski opportunities with lots of bars and restaurants to choose from. Enjoy local cuisine with a nice cold or hot beverage by an open fire and listen to live music with great hospitality. The closest airport to Obergurgl and Hochgurgl is Innsbruck. Innsbruck is located 97 km away which is about an hour and a half bus transfer or car journey away from resort.